Keeping bees is such a joyful and rewarding pastime. It gives you the opportunity to observe the interconnectedness of life, to appreciate the changing seasons in a new way, and to play an active role in contributing to the health of your environment. 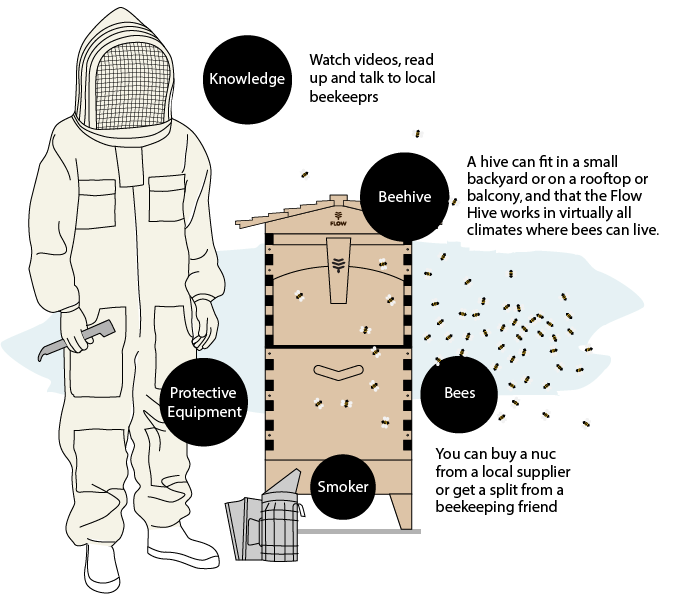 As you get to know your bees, you’ll discover many fascinating aspects of their behaviour. 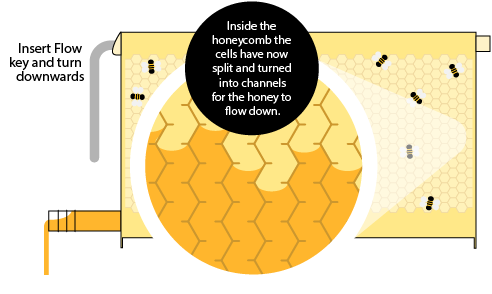 You’ll start to notice little things like how they communicate with each other, the way they construct honeycomb, and which plants are in flower throughout the year. Plus, of course, there’s also the sweetness of having delicious top quality honey to share with your family and neighbours! 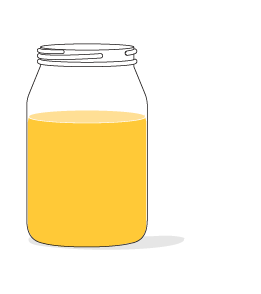 The super is where the bees store nectar which turns into honey and is then capped with wax. 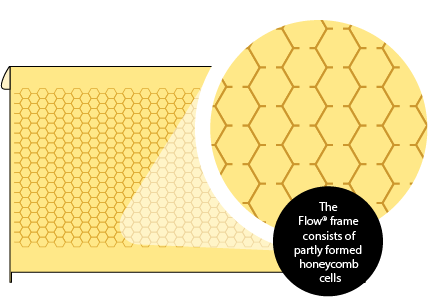 In a Flow Hive this is where the Flow Frames are located. The brood box is where the queen lives and lays her eggs - each one inside a hexagonal cell made from wax. 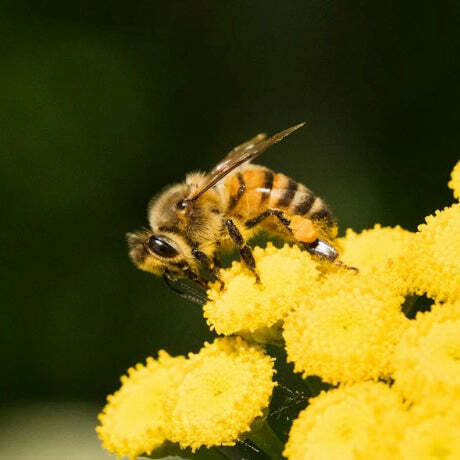 Most bees in the hive are female worker bees. They carry out different duties as they age. After a bee emerges from her honeycomb cell, her first role is 'housekeeping'. Later roles can include being a nurse feeding and caring for the developing larvae, a guard, an undertaker, a queen's attendant, producing wax, and transferring nectar. Eventually she will graduate to become a field bee and begin venturing out of the hive to forage for nectar and pollen. The queen is the mother of virtually all of the bees in the hive. She is the largest bee in the colony, having been fed exclusively on royal jelly as a larva and then taken a mating flight during which she was impregnated. She spends most of her time laying eggs in brood cells (about 1,500 per day! ), and is always attended to by her retinue of fiercely protective worker bees. Male bees are called drones. They don't have stingers, and don't collect nectar or pollen. Their sole purpose in life (which only a small proportion of them get to fulfil) is to mate with a queen. They are bigger than worker bees, with large eyes to help them spot a queen on her nuptial flight. Mating takes place on the wing, and successful drones die afterwards, as their reproductive organs are torn off during the act! 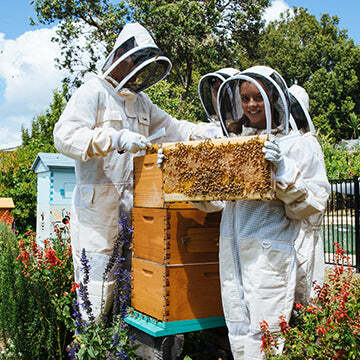 To be proactive about keeping your bees happy and healthy, you'll need to open the hive and inspect the brood box at certain points throughout the year. This is one of the most enjoyable aspects of beekeeping. 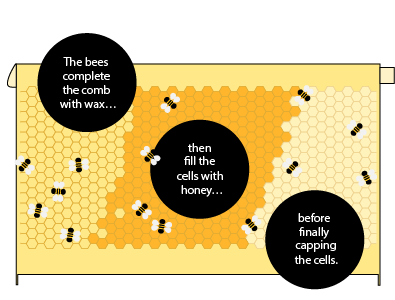 As the Flow Hive drastically reduces the effort required for honey harvesting, you'll have more time to observe and care for your bees. It’s so much easier for the beekeeper and so much gentler on the bees!